Situated over 1000km from mainland Ecuador, the Galápagos Islands is spectacular and one of the few places left in the world where human activity is kept to a minimum. 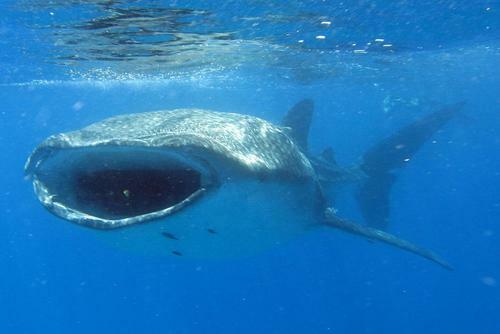 If you are keen to travel to the Galapagos we have some fantastic trips and holidays where you can discover amazing destinations, go scuba diving or work, volunteer and study. Charles Darwin visited the Galapagos Islands and got more than he bargained for. He came in search of volcanoes, but it was the unique wildlife that left a more lasting impression. He famously fed giant tortoises, and his time here inspired his theories. We highly recommend visiting the Galapagos if you are looking for a unique destination and would like to go somewhere off the beaten track. You will get to experience stunning nature and exotic wildlife. There is also the option to do more than being just a tourist, you could actually live and work in the Galapagos. This really is one of the most beautiful places in the world and you can explore this region of the world on a holiday arranged through our website. If you are planning to travel solo, as a family or in a couple you will be able to get special rates and discounts. This will be a life changing experience and you will get memorable pictures to make all your friends and family jealous. Get inspiration for the best things to do if you would like to go travelling, backpacking, take a gap year, work, intern or volunteer in the Galapagos Islands. Our directory includes lots of free and low cost options. 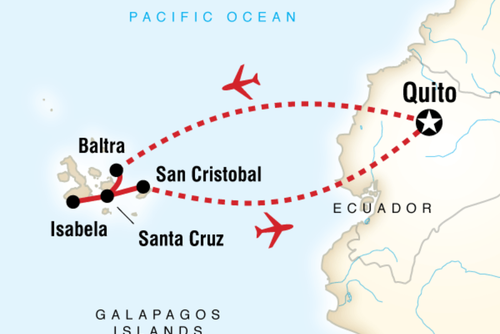 The easiest way to arrive is via flight from Ecuador but you can also book a tour/cruise. Warm season is from December to June and the dry season is from July to early December. The temperature varies between 69 ° -84 ° F / 21 ° -30 ° C. You can visit all year round. There are lots of island hopping adventures available which can be joined all year round. On tours you will get to travel overland and via sea to visit the various islands, you will get to see remote communities and also animals. 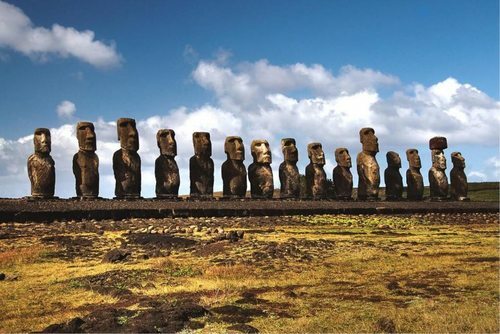 If you are planning on traveling around South America on a budget visiting the Galapagos Islands might not be the best option, this is an expensive destination due to the location and difficulty getting here from the mainland. Our best advice is to pre-book an organised tour which will include transfers, transport and accommodation - this is the best way to see the best places in the region. Visiting the Galapagos on a gap year will provide you with a lifetime of memories and also pictures to make all your friends and family jealous. On Isabella Island you can relax and visit the Giant Tortoise Breeding Center, whilst trips to Santa Cruz and San Cristobal Island are also recommended. There are year round and also special Christmas / New Year breaks available here where you can see the local Ecuadorian tradition of Año Viejo, a tradition of burning paper dummies in the street. One of the most popular reasons to visit is to see exotic wildlife. These trips are incredible! You will get to see exotic wild animals and get photos and memories to last a memory. Benefits of working or interning here include living and helping in one of the most spectacular areas of the world. 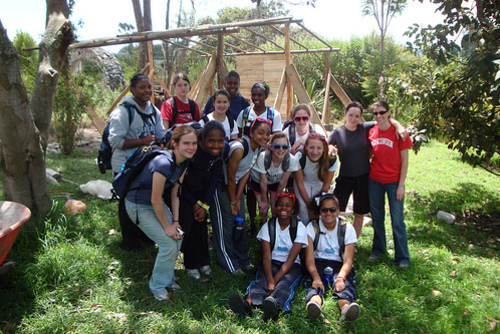 See exotic animals like giant tortoises and make a difference and do something challenging and rewarding. You will get to meet local conservationists and make friends with other international participants from all over the world. This is a way to be more than just a tourist. The Galapagos Islands are located around 600 miles off the West Coast of Ecuador and when you arrive here you will be struck just by how beautiful it is. There are over 50 islands which make up the Galapagos with 5 being inhabited by around 28,000 people. What you might not know about the Galapagos is that some of the people who live here are very poor, around 40% of the native population live in poverty. This region is receiving more and more tourist and this potentially could have a negative long term effort on the islands. Around 200,000 people visited the region last year and there needs to be a carefully balancing act between preservation and tourism. You could go in search of exotic wildlife, climb volcanoes, see stunning white sandy beaches or get pictures of some of the best sunsets in the world. 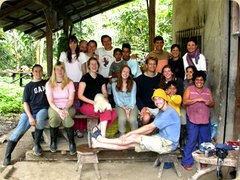 A lot of people combine experiences and volunteer in Ecuador too. Expect pristine beaches while also get your hands dirty by joining active experiences and programs which combine tourism with volunteerism. Find rewarding community and conservation programs where you can make a big difference whilst experience life in a spectacular destination. These cultural exchanges also allow you to live and enjoy the culture of a different part of the world which is still unspoiled by tourism. The Galapagos Islands are one of the best places in the world in terms of biodiversity, with over 200 animal species and over 500 plants species. If you like the idea of giving something back then consider working to help the environment and nature, the Galapagos is a very special and unique destination and should be kept in pristine condition even with tourism. There are lots of environmental and marine based volunteer opportunities in the Galapagos you could work with animals or help nature by working with local NGO's. Research teams are working all year round helping plant species and eco systems, tasks can include planting native vegetation and hacking down the rampant growth of blackberries - Galapagos most invasive foreign plant that is destroying natural plant life on the islands. Programs can include helping villages on building and construction programs or leading English educational lessons. Education and teaching programs are popular, you can even paid to teach here. Working as an assistant to teachers in schools in this region of the world will be a memorable experience. Tasks can include leading English lessons or instructing sports. These are really fun volunteer placements where you can help local teachers and live in a beautiful destination. You will get to improve aspects of education on the islands and your efforts will be appreciated by local staff and children. It will be really rewarding seeing the benefits you will have. Participants are welcomed all year round and you can also search all of our South America volunteer programs for more options. Take a trip to the amazing spectrum of biodiversity that is the Galapagos Islands and meet rare and endangered species. Take in incredible scenery, wonders of the natural world and get involved with conservation work on one of our featured volunteer island hopping tours. 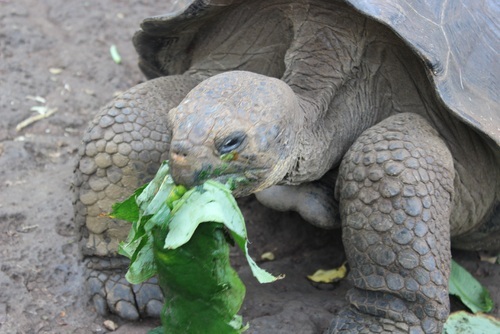 Prepare to meet the most famous residents of the Galapagos; the Giant Tortoise, on the beautiful island of Santa Cruz! You’ll watch these amazing creatures wander in the wild before you visit the Charles Darwin station and breeding centre. Journey on to Tortuga Bay Beach and see if you can spot marine turtles, white tipped reef sharks or manta rays. 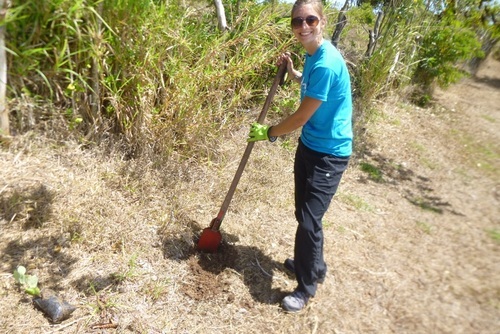 Round the week off in Pto Ayora where you will take part in conservation volunteer work, your work will vary according to the needs of the project but you’ll be guaranteed a memorable outdoors experience! Next it’s on to San Cristobel where you’ll get involved with environmental, community and social volunteer projects at the Biological station. Activities will differ depending on where help is needed and may include reforestation, restoring native forests and endemic plants, and educating the local community about planting vegetation. The rest of your week will be yours to spend exploring San Cristobel! Home to more wild tortoises than any other island, Isabela is teeming with animal, bird and marine life – a haven for animal lovers! Visit the Giant Tortoise Breeding Centre, glimpse penguins, sharks, blue-legged piqueros, pelicans, iguanas and sea lions on the Tintoreras Islet Tour and marvel at the landscapes and lava formations of Volcan Sierra Negra and Volcan Chico. Your last day is free to chill out on the beach, spot wildlife or book extra tours. Shared accommodation with other participants is usually provided, if you apply through an agency this is included in the program fee. Homestays are also available which are perfect if you want full cultural immersion, you will live with a local family eating their food, practising English and also learning Spanish. You might also like to view our guide to studying Spanish in South America. Volunteers/travellers usually need to be aged 18 years or older on the volunteer program start date unless participating with a family or school group. A mandatory criminal background check (for all children related programs). Travel insurance will also usually be needed. On most trips you will travel overland in a private small tour van, boat or small plane. 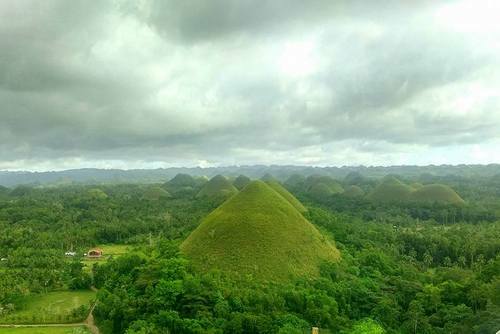 This is a very remote region and to join you might need to pay a fee which will cover your accommodation and transport for the duration of a trip. Be sure to get your application in early as places fill up quick - this is one of the most up and coming volunteer destinations in the world. 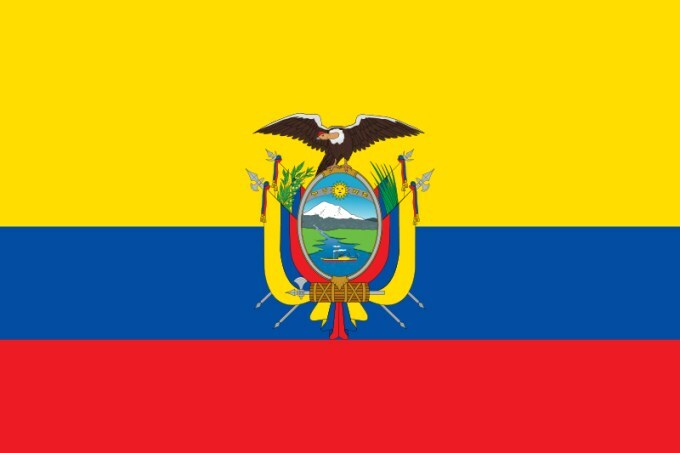 A lot of programs are flexible and you will have lots of time to travel and see more of this special region or have time to go back to mainland exploring Ecuador. If this sounds interesting to you browse our featured trips and programs today, you can also search our featured organisations to find free and low cost opportunities. Nowhere else the world to nature’s untouched beauty of these islands. Search our featured trips above or contact us for specific advice. 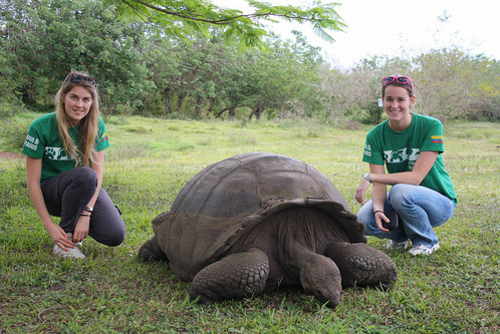 Volunteer in the Galapagos at a Biological Research Station!